The day many of us have been awaiting patiently (more likely rather impatiently) has finally arrived. In less than 24 hours from the publishing of this post, AEK will have finally played a Champions League game, the first in essentially a decade. Our opponent for this 3rd qualifying round match is the Moscow based club CSKA. Most sources are understandably listing CSKA as the favourites, not least because their season has already been underway. AEK, on the other hand, have yet to play a competitive match with many of our new singings but that doesn’t worry me all that much. We’re expected to have a good crowd supporting the team in OAKA as ticket sales have been pretty steady over the past week and the team will definitely have enough motivation to put in a good performance. In fact I’ve just read that 15,000 tickets have been sold, plus the approximately 7,000 season tickets. That puts us at a crowd of around 21,000 though that will surely increase more throughout the day tomorrow. AEK365 is reporting that Anestis will get the start in nets after Barkas sustained a rather serious injury that could see him sidelined for up to three months. In front of Anestis we can expect to see Bakakis, Chygrynskiy, Vranjes, and Lopes. Simoes will likely be paired with either Johansson or Galanopoulos with Livaja a little further up the pitch. Completing our attack will be Mantalos and Lazaros with Klonaridis expected to be up front if he is match fit. Its not a bad lineup with some pretty good Greek representation. Its reassuring to see that Jimenez isn’t afraid to play Greeks when they deserve the spot since those are more often than not the players that the club will be built around. Tomorrow’s match will take place at 8:30 PM Athens time which is 1:30 PM New York time or 3:30 AM Sydney time (on the 26th of July). I can’t really say what to expect from CSKA as I’m not at all familiar with the club, but they did just come off a 3-1 loss in the league against Lokomotiv Moscow. Having said that, they’re still undoubtedly a strong side but a positive result for AEK in Athens is more than possible. Its supposed to be a warm afternoon in Athens with a high of 32°C which could play in our favour as Moscow seems to be averaging mid to high 20s around this time of year. Its an exciting day tomorrow and while I’m disappointed that I’ll have to be at work, I’ll definitely try to follow it as much as possible. Fingers crossed one of the Greek TV channels I have on TV will also be showing it so I can watch it after work. Either way theres a lot to look forward to and if we can come away with a positive result tomorrow, anything will be possible. Forza AEKara! Its that time of year again, where we start to get a first look at how the team might line up this season. Of course, theres only so much we can gather from these games as the experimental lineups and lower pace don’t provide an accurate representation of how we’ll play when the season properly starts, but it gives us a good look at some of our recent signings and what we can expect of them. Our first friendly was yesterday, a game against Karpaty Lviv which ended in a 1-1 draw. Giakoumakis was the goal scorer for us in this game and from most accounts it sounds like he got off to a promising start. I’m expecting pretty good things from him this season seeing as he looked quite promising this past season. We’ve seen players in his situation before, arriving at the team with high expectations only to ultimately let us down, but the talent is definitely there with Giakoumakis. Our second friendly which took place earlier today was against a familiar opponent: Korona Kielce. 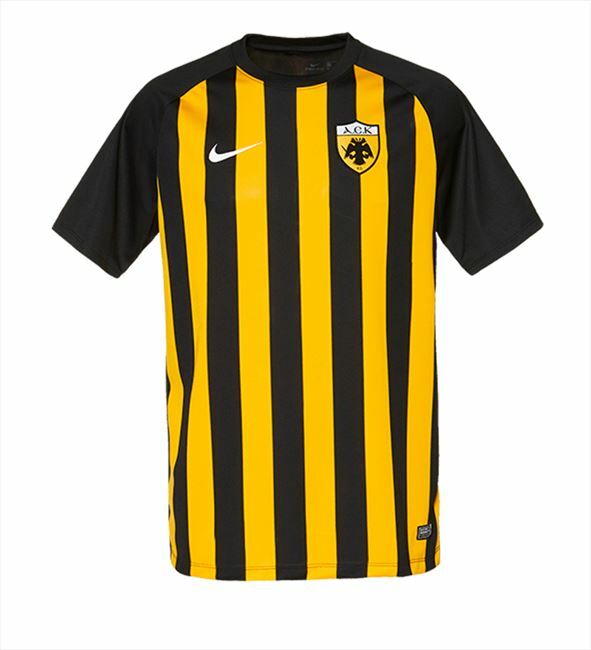 We played them in a friendly last summer as well, a game which AEK won by a score of 2-0. Our result was less impressive today with us winning 1-0, but again there was apparently some impressive play from a lot of our players. Klonaridis scored a wonderful goal and has definitely provided us with reason to be excited for this season. He also looked good this past season and I have a feeling we could see some good play up front with Mantalos, Giakoumakis, and Klonaridis linking up well. I’m not yet sure if Klonaridis and Giakoumakis will be playing similar roles but if theres a way to have them both playing, we could definitely be in good shape offensively. There have also been some singings since my last post, the three most notable being Marko Livaja, Uros Cosic, and Arnor Traustason. Agonasport have a nice writeup on the three players here. Traustason definitely sounds extremely promising, but Cosic also has some solid experience for someone on the younger side. With the team having recently arrived in Poland for pre-season training, there have already been moves taken with the hopes of strengthening the squad for our return to the Champions League. In my opinion the biggest move we’ve made so far was the re-singing of Jimenez. There was some uncertainty about a month or so ago regarding whether we’d hold onto Jimenez for at least another season but the team has cleared that up after a new deal was agreed. As far as I’m concerned this is exactly what we could have hoped for. We saw how quickly he managed to turn the team around last season after he re-joined us, I can only imagine what he could do with a full pre-season as well. It has been far too long since we had a serious and experienced coach for a pre-season so having him here from the start will really see us start in the right direction if we hope to progress at all in the Champions League. As far as players are concerned, we have made a few singings so far with the first notable singing being that of Helder Lopes. The Portuguese left-back joins us from Las Palmas, the same Las Palmas which currently owns the rights to Sergio Araujo. Haven’t personally seen much of him so I can’t really comment on what he brings to the team, but we’ve had pretty decent luck lately with Portuguese players like Barbosa and Simoes so I can only hope that trend continues with Lopes. We’ve also officially completed the deal to bring over Giakoumakis from Cretan club Platanias. A deal had already been agreed with the players last season but the deal was only able to be finalized this pre-season. Hes a very promising player who is coming off a couple strong seasons with Platanias. Considering Aravidis was released from the club not too long ago, its a nice to see us strengthen our attack with another promising young Greek. Arguably the biggest singing for the club this season so far though has been the re-signing of Klonaridis. 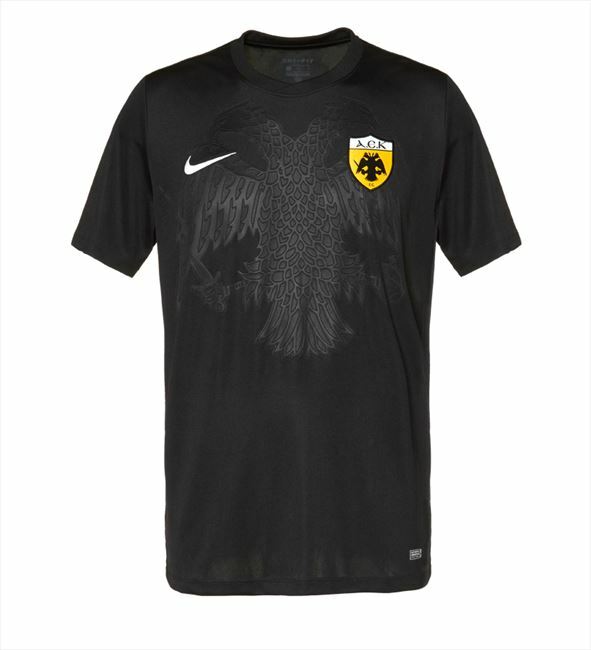 Klonaridis, who became the first player to go from AEK, to PAO, and back to AEK, was picked up for a bargain of a price at a reported 800,000 Euros. Not bad for a player who has already proven himself in this league. Don’t get me wrong, hes not the greatest Greek to wear our jersey by any means, but especially for the price, hes a great addition to the club. He genuinely seems pretty excited to be back at AEK to which I like to see and I have a feeling he could play a big part in any success we have this season. In addition to our recent singings, we’ve seen a few players released with the most recent being Vargas and Kolovetsios. Its unfortunate to see them both leave as they both brought a lot to the club. Kolovetsios had been with us for a few years by now and had been a great member of the club, causing very few issues along the way. He was always ready to be called upon when needed and though we have solidified our depth in the centre-back position, its too bad we couldn’t find a place for him in the team. Having said that, it was pretty clear his playing time would be limited this season and he still has many years ahead of him so from his point of view this was the right thing to do. On the right club, he could easily become a key player. Vargas was also an unfortunate loss for us. I’m not sure why exactly his playing time dropped so much under Jimenez, if it was simply a matter of him not fitting the system or if there was something else behind the scenes, I couldn’t say. What I can say though is that I’ll never forget the many moments these past two seasons where he came up big when we needed it. Afterall, how can we forget the player who scored the game winner in our home derbies against PAO, PAOK, and Olympiakos all in one season.